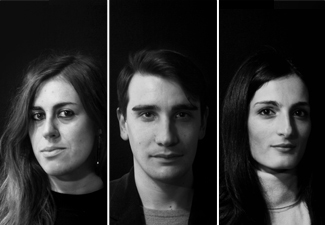 ULTRA Architettura is a Rome based firm arising from the partnership of Emanuela Ortolani, Michela Romano and David Vecchi. Since their common university career at Sapienza in Rome, they have established a compact core that faces every task with similar assumptions, according to which each project is conceived as a narrative sequence open to new formations, but always based on the need of a solid argument. The aim is not to pursue an architecture that is only consequential or paradigmatic, rather it is to interpose a critical distance that can favor disparity in virtue of function and context. They have been participating in several competitions, gaining awards and mentions, such the first prize in Europan 12 and the recent one obtained for participation in the Moroccan pavilion at the 14th Venice Biennale.